This superb 4/5 bedroom bungalow is located just 10 minutes drive from the town centre in a quiet country setting. 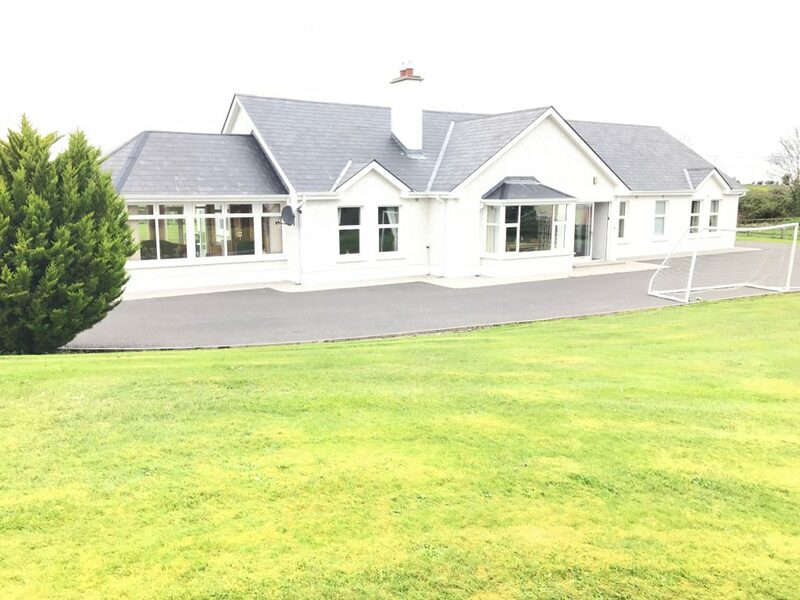 It boasts both the advantage of country living while being only minutes drive from amenities such as Supervalu, Athlone Springs Hotal, Athlone Credit Union, coffee shops, pharmacy and a host more. The spacious living accommodation comprises, entrance hall, sitting room, kitchen/dining room, living room, sun room, 4 bedrooms (2 of which are ensuite), office/5th bedroom & family bathroom. Standing on a large site 2.5 acres it has spectacular views of the surrounding countryside. This house is in great condition throughout and would make a lovely family home. Quiet country location within 10 minutes drive of the town centre. Large landscaped site with specaluar views of the surrounding countryside.